For franchisors, common legal issues in going abroad boil down to one key question of risk: Can the franchisor enforce the agreement? The answer requires franchisors to do a thorough risk analysis of the foreign jurisdiction's laws related to resolving disputes and enforcing payment terms, enforcing judgments, enforcing guarantee agreements, upholding liquidated damages provisions, and enforcing indemnity and hold harmless agreements. Each of these legal issues ultimately controls a franchisor's ability to enforce the agreement and get paid. Getting paid: What is a letter of credit? Revocable vs. irrevocable. A buyer or issuing bank can cancel a revocable letter of credit at any time without notification; while an irrevocable letter of credit cannot be unilaterally reversed unless all parties agree. Revocable letters of credit have been removed from transactions under the UCP 600. Confirmed vs. unconfirmed. A confirmed letter of credit is only confirmed once the confirming bank has added its obligation to the issuing bank by guarantee or assurance of payment. An unconfirmed letter of credit is guaranteed only by the issuing bank, and there is no confirmation by the advising bank. Political or economic instability makes unconfirmed letters of credit more risky than confirmed letters of credit. Transferable vs. non-transferable. A transferable letter of credit makes payment transferable to a third party such as suppliers of goods or services, whereas a non-transferable letter of credit prohibits such payment transfers. Straight vs. negotiable. Under a straight letter of credit, the issuing bank pays the beneficiary. In a negotiable letter of credit, the issuing bank may pay the beneficiary or any bank nominated by the beneficiary. Restricted vs. unrestricted. For a restricted letter of credit, only one (or a specified number of) nominated banks can be used to negotiate. Any bank of the beneficiary's choice can be used to negotiate an unrestricted letter of credit. Term (usance) vs. sight. A term (usance) letter of credit allows payment to be deferred in case of a usance giving the buyer time to inspect or sell goods; whereas an at sight letter of credit is payable as soon as the documents have been verified or presented. Letters of credit are similar to bank guarantees, which work to reduce the loss if a transaction is not successful. Like a letter of credit, a bank guarantee guarantees a certain amount to a beneficiary. However, a bank guarantee is paid only if the opposing party fails to perform stipulated obligations under the contract. Bank guarantees are not used by U.S. banks, but are used with international banks. Furthermore, bank guarantees can insure against losses caused by the non-performance of a party. Using a letter of credit: How does it work? Step 1: Franchisor sets standards. The franchisor will set standards for the letter of credit, including approving the issuing bank to be used by the foreign franchisee party (usually located where the franchisee and its assets are located), in addition to describing the required contents and amount of the letter of credit. Step 2: Franchisee's issuing bank opens letter of credit. The foreign franchisee party will ask the approved issuing bank to open a letter of credit in favor of the franchisor (i.e., as the beneficiary), and the issuing bank will accept the instructions of the foreign franchisee. Step 3: Franchisor's confirming bank verifies letter of credit. The franchisor will next ask its confirming bank (usually located domestically where the franchisor is located) to verify that the letter of credit was opened in its favor and contains the required terms, including terms covering the franchisor's exact obligations and the required proof that will trigger the issuing bank's duty to pay the franchisor. The franchisor's obligations and required proof could include, for example, execution of the franchise and/or development agreement, written approval of a location, written approval of a site development plan or lease, and/or written proof of default or termination of the agreement. Step 4: Franchisor fulfills its obligation. Upon fulfilling its obligations as specified in the letter of credit, the franchisor will take proof that it has upheld its obligation to the issuing bank according to the terms of the letter of credit. Step 5: Franchisee's issuing bank pays franchisor. The issuing bank is required to pay the franchisor the sums due under the letter of credit. Specificity in the terms of the letter of credit is essential to the franchisor enforcing the issuing bank's obligation to release payment to the franchisor pursuant to the letter of credit. An issuing bank will release payment to a franchisor only if the exact terms of the letter of credit are demonstrated in the exact manner specified by the letter of credit - meaning that if the letter of credit requires proof that the franchisor approved a site or lease, the franchisor must present this proof to the issuing bank of its approval of a site or lease in the manner described in the letter of credit. Setting terms: What are the details? Letters of credit are a franchisor's insurance policy for payment. Therefore, the details and amount set in a letter of credit include provisions to satisfy all payment obligations owed to the franchisor under the franchise and/or development agreements. Moreover, if the deal involves a development agreement and numerous future franchise agreements, the letter of credit could be included in both agreements to further limit risk of non-payment. 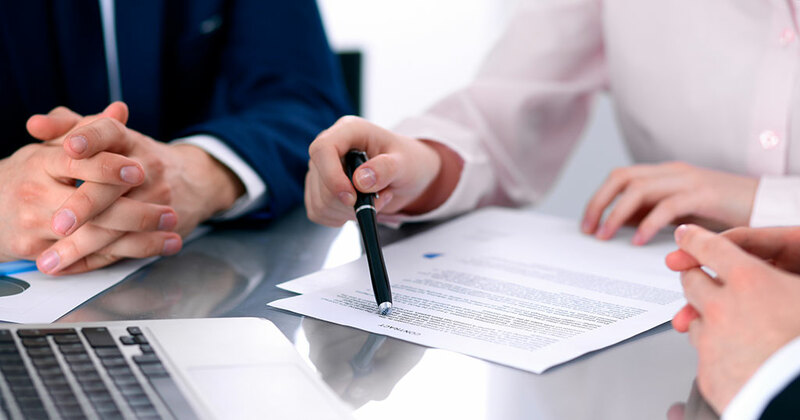 Therefore, if a franchisor forgets to execute subsequent letters of credit in the franchise agreement(s), the letter of credit in the development agreement is a safety net. What is the length and when is the expiration of the letter of credit in the development agreement and franchise agreement? Does the letter of credit cover the term of the agreements and any successor terms? Will the face value of the letter of credit be adjusted under the development agreement to account for the amount in the franchise agreement? Who will be tasked with monitoring that the face value of the letters of credit matches the risks undertaken as the relationship grows? The letter of credit is a tool for securing payment to the franchisor only when the amount of the letter of credit matches the risk of non-payment or other defaults. Restricting resources: What are the drawbacks? Some franchisors are dissuaded from using letters of credit because of concern about negatively affecting a franchisee's credit rating, unease about limiting access to capital, and hesitance of restraining financial resources that would otherwise be available to development and operations. Yet, letters of credit are strong deterrents to non-compliance and non-payment. And both parties benefit from significant savings in litigation or arbitration costs. For instance, a letter of credit could set a flat amount as the sole remedy for settling all monetary damages. In sum, international expansion requires strategy and planning around risks. Letters of credit are a powerful tool for enforcing the agreement, ensuring compliance, securing payment, and strategizing growth.